Junior Astronomers is a (newly) four-piece rock & roll band formed in their hometown, Charlotte, North Carolina. A quartet bound to the loud and impulsive. Gritty and Jangled on some occasions, then a joyous release bordering on celebration on others. Wheeler dropped out of college in '08 and moved back to Charlotte from Asheville, NC start a band with long-time friend and occasional musical collaborator, Richard, who had led by example and had parted ways with Academics a semester earlier. The two moved in together to continue work on promising early material and wrote a bulk of JA's early catalog in the following months. The boys went through a few line ups before blurred lines of fate delivered old friends Watts, Pittman & rhythm guitarist Jeff Saer (who left the group in early 2013). In that line up, music that had been well received but slightly out of focus, sharpened and hit an instant chord with local audiences. While the vast majority of songwriting still starts with the partnership of Richard & Wheeler, the process has opened up and songs get their structure in an open forum with Watts and Pittman lending some spontaneity and rich + rhythmic harmonic layering. The group recorded their first EP with local music shaman + taste maker, Bo White of Kinnikinnik records. The 6 songs of 2009's 'I Had Plans for Us…' was recorded live, mixed and mastered in 3 days at White's home-studio. The 4 song EP 'I Just Want to Make a Statement' followed in the middle of 2010. The breakthrough EP, featuring fan favorites 'Settle Down' & 'Bad Bones' was recorded in Greensboro, NC with Kris Hillbert at Legitimate Business, a DIY show-space and recording studio. The boys developed a strong relationship with Hillbert and were very comfortable working with him at Legitimate Business, which shows through on the 20 minute-long EP. The release of 'I Just Want to Make a Statement' brought some National and International acclaim and sent the band out on the road. Garnering a cult following for their live shows, JA has been continually on the move since forming in 2008, touring and sharing the stage with the likes of HRVRD, The Weeks, Cursive, Des Ark, Polvo, Algernon Cadwallader, Colour Revolt & Manchester Orchestra. The North Carolina natives are at once engaging and passionate, and the crowds are rarely still; shifting between shouting lyrics along with the consuming (intense?) frontman, Terrence Richard, from whom hooks abound and the captivating band, who play with a level of musicianship not fashionable since the 70's. Early 2013 has seen the band play sellout shows in NYC (at the storied Mercury Lounge), Nashville and, of course, at home in Charlotte as well as places in between. The performances are unhinged and never over thought. "If something is forced it feels like a job," the band echoes. Dead Nostalgia. For two years after the release of their EP, I Just Want to Make a Statement, Junior Astronomers toured, boozed, partied and made bonds all along the east coast and midwest. Their raucous, energetic live performances carried over into real life. A sense of comfort set in, as it should when you are enjoying being young and celebrating early successes; full seasons spent playing shows and growing. Then, growing slowed and reflection began. What was after all this? Their early twenties were blurring together along with the older songs, they all felt like distant memories. During the summer of 2012, the boys finally figured it was time to exorcize their demons and packed up for Legitimate Business in Greensboro to work with engineer/producer, Kris Hillbert. The place was rich with history for all of them, so they found it perfect to record such a reflective group of songs. After two months spent tracking, mixing, & fine-tuning, they finally got to step back from what was going on around them and make steps on moving forward. The record was sent to Engine Room in NYC to be mastered by fellow North Carolinian and good friend, Dan Millice (ASAP ROCKY, Glassjaw, Hella). What came out of the process was 12 songs that perfectly captured Carolina nights - wandering and wondering. The excitement to record fueled growth as a band and as people. A year later, poised for more touring and the excitement of releasing their first full length, the Junior Astronomers can finally focus on the future instead of the past. Their hometown has bestowed official accolades and impenetrable loyalty upon them, but their energy is still fresh and passionate. I HAD PLANS FOR US introduced that energy in 2009 through six songs. I JUST WANT TO MAKE A STATEMENT followed in 2010, amping up both the complexity and memorable moments in each piece. 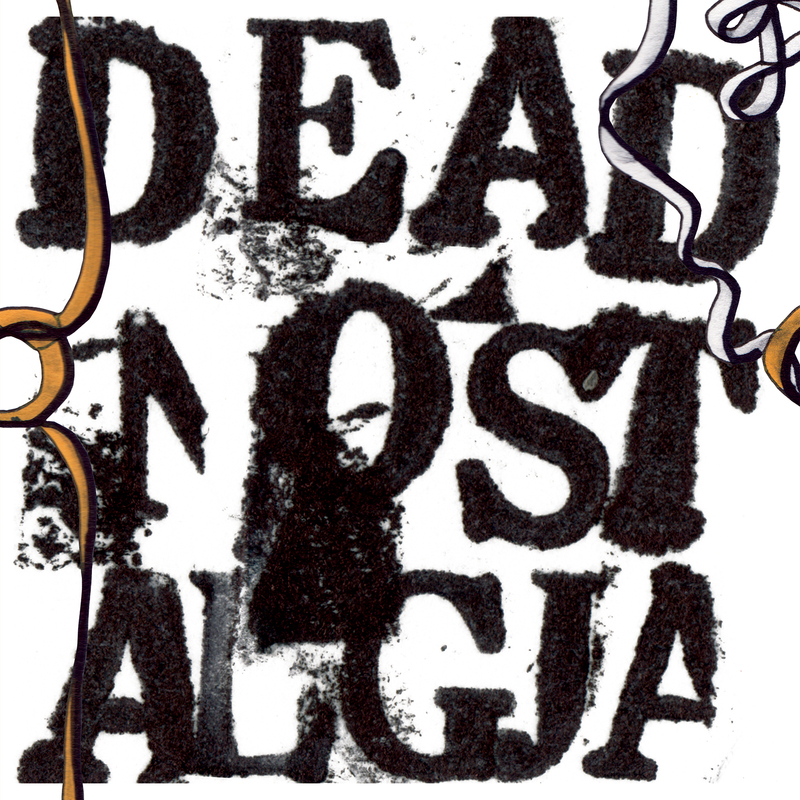 2013 brings the latest set of songs, their first full length, DEAD NOSTALGIA.